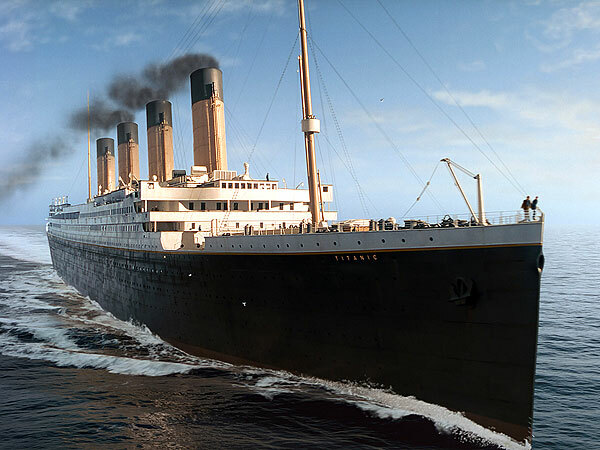 Back in 1909, the great ship, the RMS Titanic began construction. By this time, her big sister, RMS Olympic was already completed, and on her way to being fitted out. 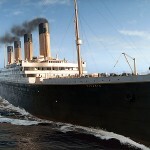 The world would never be the same, especially once the Titanic was built, launched, and then ultimately sank. However, once this great ship was complete, there was a special ceremony, and a special plaque was made to commemorate the occasion. However, once the Titanic was launched, and then sank, everyone was so shocked by the tragedy, that the plaque was soon forgotten. But now, over 100 and three years since the great ship, Titanic went down, this lost piece of history has once again been found, and in a place no one expected it to be, the country of Spain. The main question that everyone is asking is where did this special plaque come from? The answer is that the Royal Main Steamship Union was behind the creation of the plaque. The description of it is a silver and bronze plaque that is rectangle in shape. The measurements of the plaque are that it is 11 inches by 14 and a half inches. Because it is made of both silver and bronze, the plaque is a little on the heavy side weighing a little over four pounds. The plaque also bears the name. 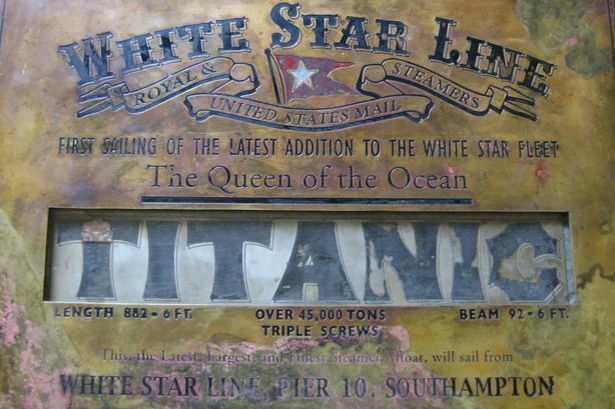 “White Star Line,” and reads, “First sailing of the latest addition to the White Star fleet, The Queen of the Ocean.” The name Titanic is present, and also gives her length at 882.6 feet, over 45,000 tons, triple screws, and her beam, which is listed as 92.6 feet. 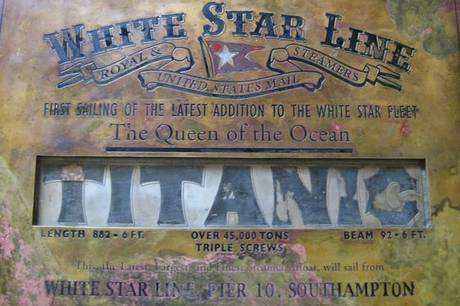 The date on the plaque is April 10th, 1912, which is the day it departed from Southampton on its way to New York City. There is also a light bulb, which is located inside the plaque behind the word Titanic. The plaque was presented to Lord William James Pirrie, who wa the chairman of Harland and Wolff, the Titanic’s builder. After Pirrie got the plaque, it hung in his office, but after that, what happened to the plaque was a mystery. From the wall of Lord Pirrie’s office, how the plaque vanished from there, and reappeared in Spain, is a mystery. However, back in 2003, a man in Britain had possession of the plaque and tried to sell it to an art gallery in the city of Barcelona. The gallery owner’s son, a man named Leo Lorenzo Sancho, who had an interest in Titanic history, saw the plaque, bought it, and hung it in his home. However, Sancho decided to share his plaque with the world, and offered on loan it to the Titanic Foundation, which was putting together a Titanic exhibition in the city of Granada. The foundation gladly took possession of the plaque, and has agreed to show it in their Titanic exhibition that will run until January of 2016. As of right now, Sancho has only agreed to lend his plaque for the exhibition, and despite many offers of money, this very special plaque is not for sale. It is amazing that this plaque has been found after the Titanic sank more than a century ago, and the world will get to appreciate it. What is more amazing is the fact the plaque made it from Belfast, Ireland all the way to Spain. 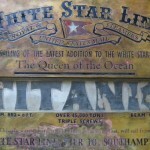 However, experts at the Spanish Titanic Foundation has gone over the plaque carefully, and verified its authenticity. After January 2016, it is unclear where the plaque will end up, or if Leo Sancho would consider loaning it to other Titanic museums, or if it will ever cross the ocean and be on display in America. It is also amazing how the Titanic still continues to make headlines 103 years after she sank, and now historians and enthusiasts of the unsinkable ship are overjoyed that another piece of her history has been found, and is on display. 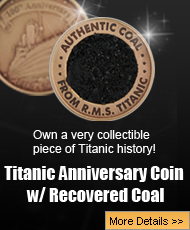 There is no word on what the Titanic Historical Society in America has to say about this discovery, but hopefully, it can come to America to one of the bigger museums like Branson, Missouri or Pigeon Forge, Tennessee. Hopefully, a documentary will be made about this amazing plaque, so some of the mystery of its existence, and journey to Spain, can be researched, and hopefully, explained.